Another day, another image of what is expected to be the fingerprint sensor in the next iPhone. A over-complex home button assembly is a strong indicator there will be something different about the home button in the next iPhone, and all signs point to a fingerprint sensor used for authentication. Does the S in 5S stands for "sensor"? You be the judge, but come next Wednesday we'll know for sure. Ming-Chi Kuo has a "fairly solid track record" when it comes to predicting future Apple products, and he's outlined his thoughts on the Apple product lineup for the rest of the year and going in to 2014. There'll be new iPads and iPad minis with new, A7X processors, with a lower-cost iPad mini with an A6 chip onboard expected to launch in early 2014. The iPad 2 is getting a little long in the tooth now, and I'm not sure how much longer Apple can keep it around — a cheaper iPad mini sounds like an ideal replacement. It's not that Apple needs the iPhone 5C, but if you take a look at the chart that says only 2% of their total iPhone sales come from iPhones under $300, you can see where it starts to make sense. It's an untapped market, at least for Apple — every other manufacturer has over 50% of sales in the "low-end" side of the spectrum. Ping is a new app that's launching on September 18th, and at first glance, you might mistake it for another instant messaging app. But Ping cleverly fuses email and instant messaging, turning your inbox into just a list of names. It's this conversation-focused approach that makes Ping unique. Plus, if that wasn't enough, there's also video and voice chats. Those kind of weird-looking camera-as-a-smartphone-accessory cameras from Sony are officially official, and the specs are pretty impressive: 18 megapixels, 3.6 or 10x optical zoom, and Sony's latest Exmor R sensors. Good optics paired with a decent sized-sensor always makes for quality images, but the real question is, would you be willing to drop a few hundred on a point and shoot that can't be used on its own? Especially when the standalone version of the same thing is only a hundred more? The Google Drive app for iOS has been updated to look and feel like a modern Google app, with clean lines and similar iconography. Of course, there'a also improved previewing of files, sorting, and searching, but look how pretty it is now! In a few days, there will be a lot of people using iOS 7. Sure, it'll take some time to adjust to the new interface and all that, but there's lots of improvements that are more than just skin deep. Background fetching APIs mean developers can pull in data even when the app isn't launched, which means no more waiting for an app to show you what you're looking for when you open it up. "It’s like one of those coffee makers that automatically brews your morning joe so it’s fresh and hot just when you come down to the kitchen." Wordbox is one of the first apps I've seen designed for iOS 7. It's a text editor that has similar buttons to the iOS 7 dialler, but apparently still feels the need to include hamburger navigation — but with Markdown support and a slew of syncing services mean it can be forgiven. TUAW has over-analysed the Apple event invitation. Pretty funny stuff. 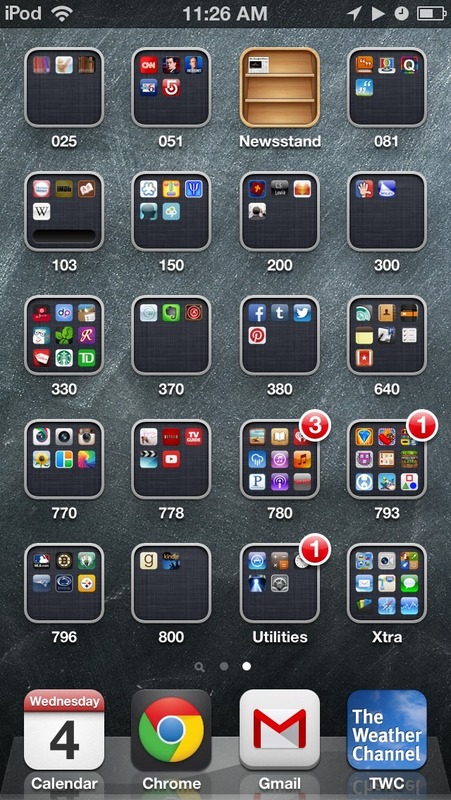 As we head into the weekend, remember this: you'll never be as cool as that guy who organised his apps by their Dewey Decimal Classification. Never.